After giving birth it is very hard to get back my pre-pregnancy weight. Especially when I was starting to shed those unwanted fats before and then all of a sudden a wonderful blessing was given to us. Though I am not in a hurry to lose my post-weight yet, cutting back too much carbohydrates would be a good starter. It is sometimes very difficult, because I was used to eat more. Now, I have to control the food I take, especially when I was diagnosed with a GDP [Gestational Diabetes positive] after 6 months, which never happens during my first pregnancy. Nevertheless, eating healthy food and sometimes those foods that has so many calories are just sometimes hard to cut off. When I am done with breastfeeding, I'll definitely try the new Life & Food Garcinia Cambogia Supreme 80% HCA product. Since I won't be able to take the pills because I breastfeed, the only thing that I will review for now is the handling and shipping of the product, in which is very important to share with the new buyers. The product came in the mail through the USPS, in a box that is just the right size of the product. Protected as I don't see any damage in the product due to shipment. I've always given credit to the seller and their way of protecting the products we buy especially when I received them in good condition, that way I can use the product right away. The product can be purchased through the Amazon website with a very affordable price. I've always checked the ingredients of this dietary supplement before I take one to ensure what it contains and how safe they are for me. 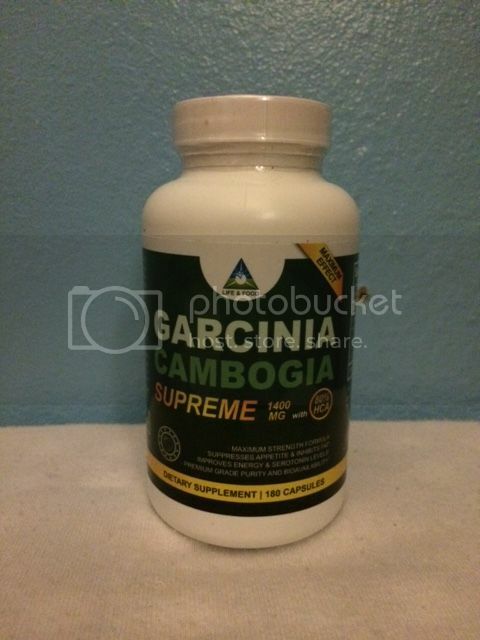 Garcinia Cambogia Supreme has no artificial ingredients and only has soy, wheat, shellfish, peanuts and dairy in it. When the right time comes, I will update this post and will certainly share my experiences using this product.